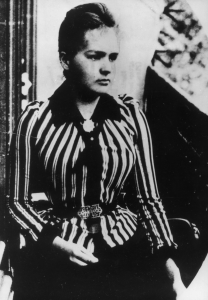 She was born Maria Salomea Skłodowska [ˈmarja salɔˈmɛa skwɔˈdɔfska] on November 7, 1867, in Warsaw in what was then the Kingdom of Poland, part of the Russian Empire. Marie Curie became the first woman to win a Nobel Prize and the only woman to win the award in two different fields (physics and chemistry). 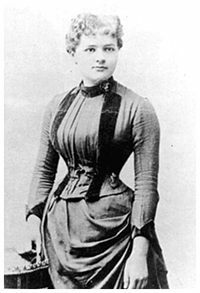 She was also the first woman to become a professor at the University of Paris, and in 1995 became the first woman to be entombed on her own merits in the Panthéon. 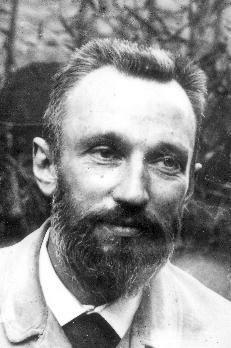 Curie’s efforts, with her husband Pierre Curie, led to the discovery of polonium and radium and, after Pierre’s death, the development of X-rays. 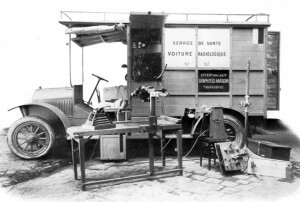 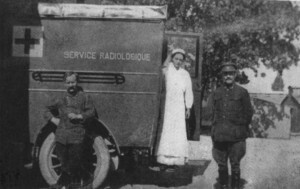 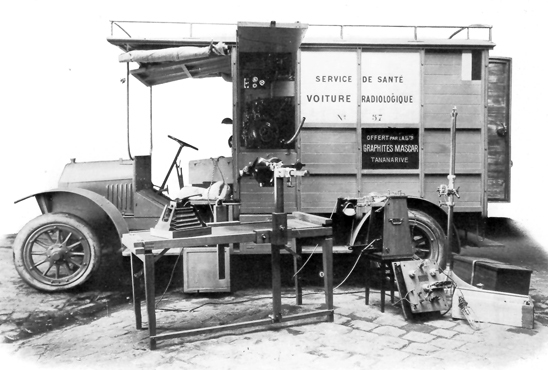 Curie died in 1934 at the sanatorium of Sancellemoz (Haute-Savoie) due to aplastic anemia brought on by exposure to radiation, mainly, it seems, during her World War I service in mobile X-ray units created by her. 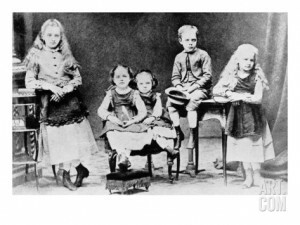 Her parents were both teachers, and Marie was the youngest of five children. 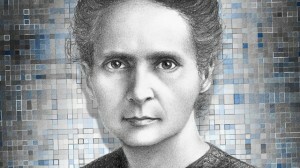 As a child Curie took after her father, Ladislas, a math and physics instructor. 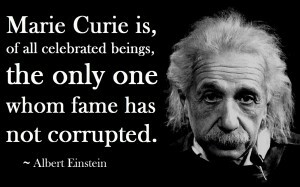 She had a bright and curious mind and excelled at school. When she was 11, Marie Curie lost her mother, Bronsitwa, to tuberculosis. 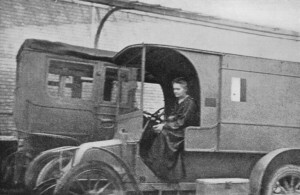 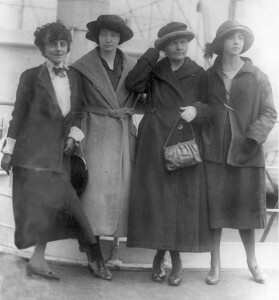 A top student in her secondary school, Curie could not attend the men-only University of Warsaw. 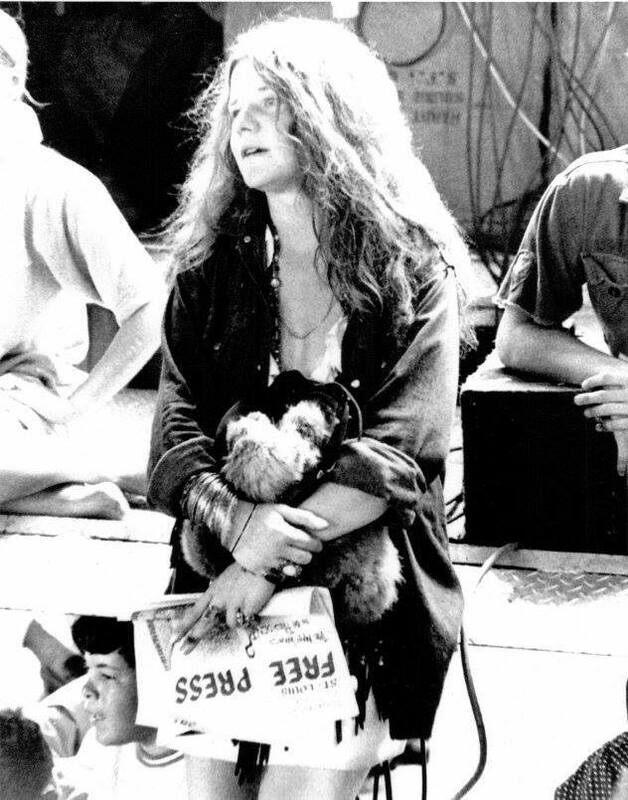 She instead continued her education in Warsaw’s floating university, a set of underground, informal classes held in secret. Both Marie and her sister Bronya dreamed of going abroad to earn an official degree, but they lacked the financial resources to pay for more schooling. 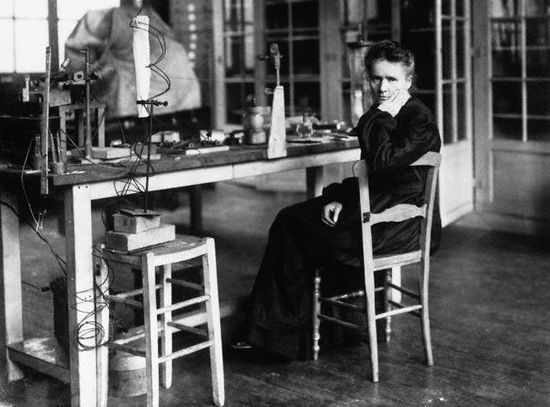 Undeterred, Curie worked out a deal with her sister. 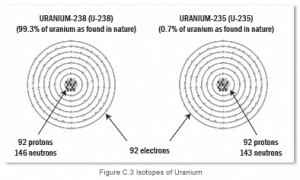 She would work to support Bronya while she was in school and Bronya would return the favor after she completed her studies. 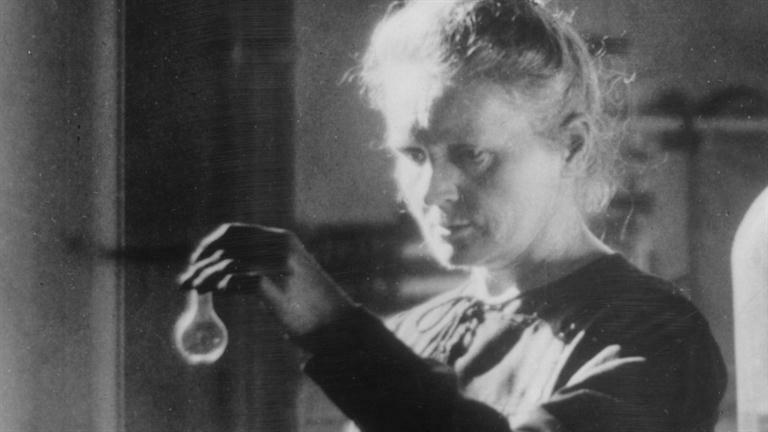 For roughly five years, Marie Curie worked as a tutor and a governess. 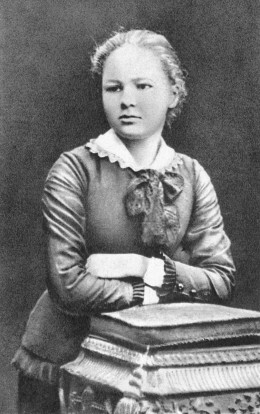 She used her spare time to study, reading about physics, chemistry and math. 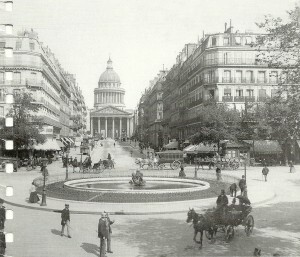 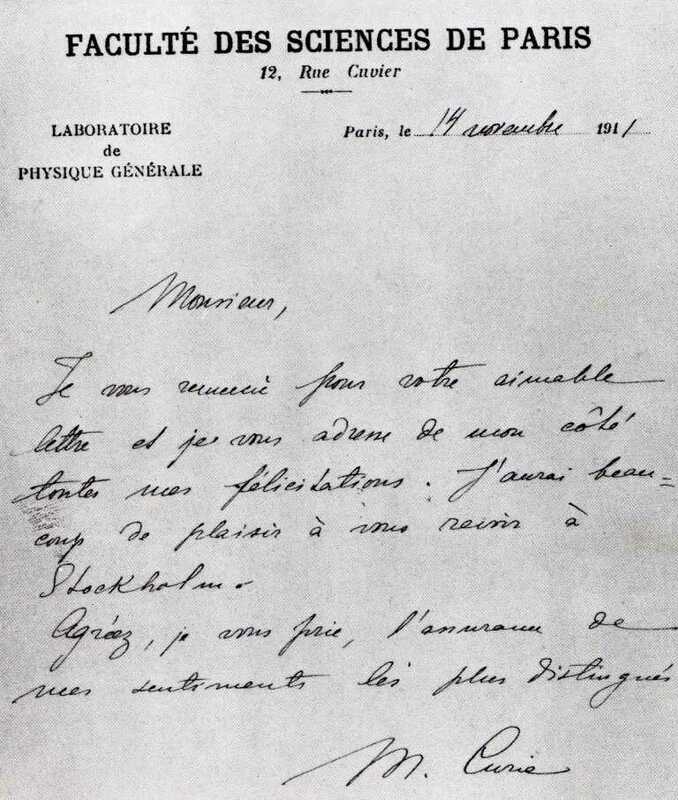 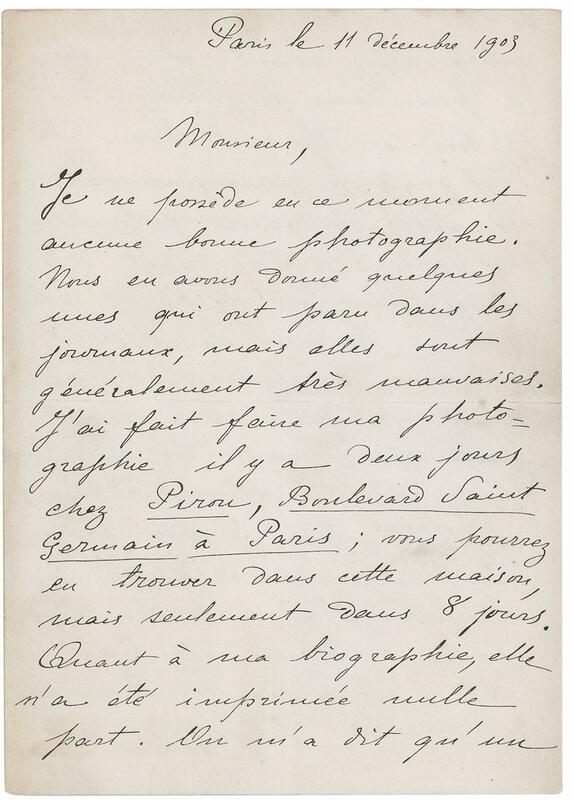 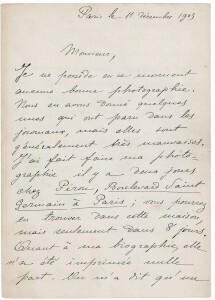 In 1891, Marie Curie managed to travel to Paris where she enrolled at the Sorbonne. She threw herself into her studies, but this dedication had a personal cost. 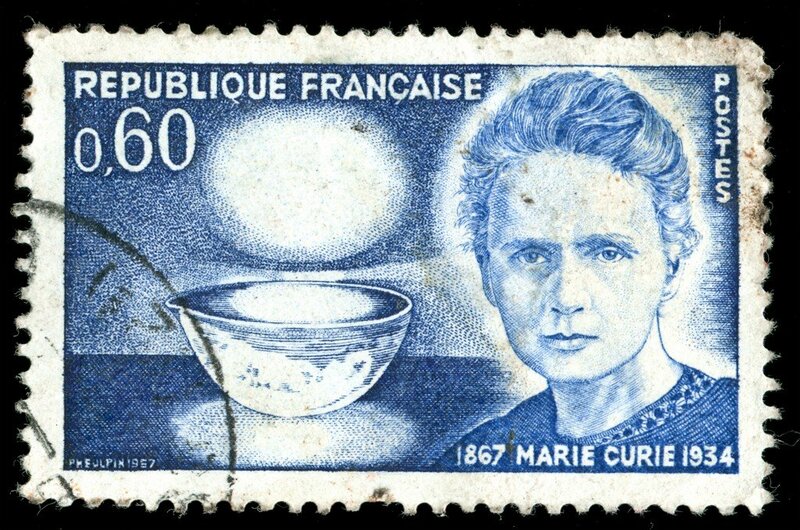 With little money, Curie survived on buttered bread and tea, and her health sometimes suffered because of her poor diet, a diet that I followed in my own days at the Sorbonne. 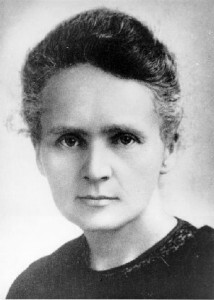 Marie Curie completed her master’s degree in physics in 1893 and earned another degree in mathematics the following year. 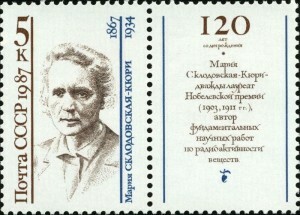 She received a commission to do a study on different types of steel and their magnetic properties. 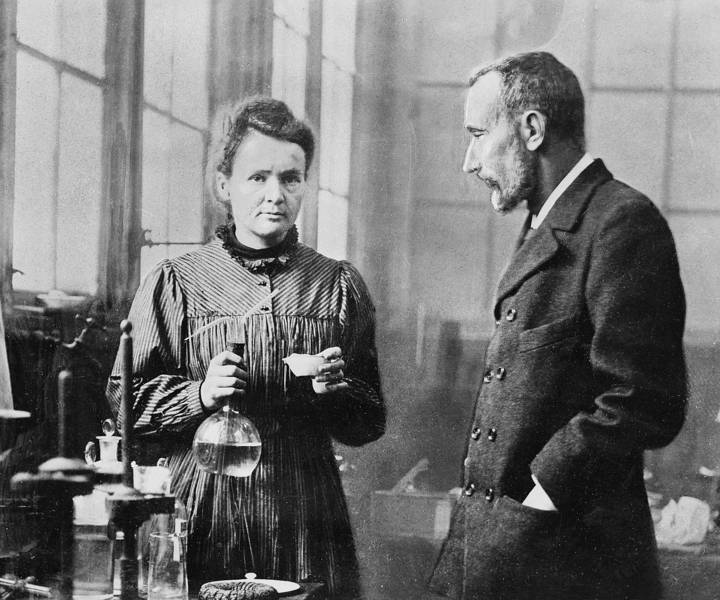 Curie needed a lab to work in, and a colleague introduced her to French physicist Pierre Curie. 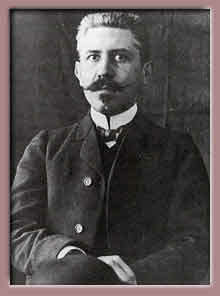 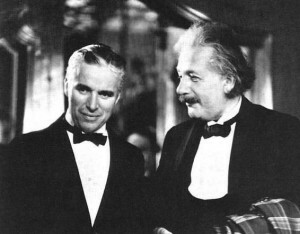 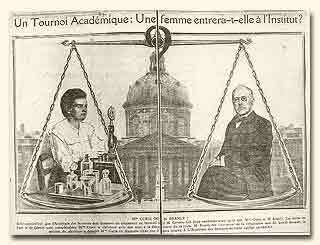 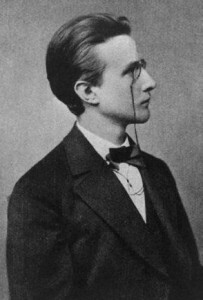 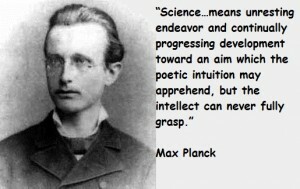 A romance developed between the brilliant pair, and they began a scientific duet which would last until Pierre’s death. 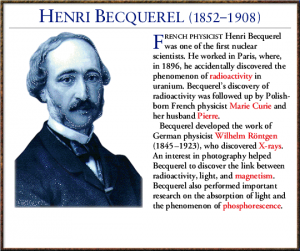 Marie was fascinated with the work of Henri Becquerel, a French physicist who discovered that uranium casts off rays, weaker rays than the X-rays found by Wilhelm Roentgen. 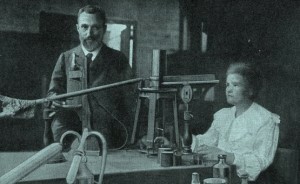 Marie Curie began to conduct her own experiments on uranium rays. She discovered that the uranium rays remained constant, no matter the condition or form of the uranium. 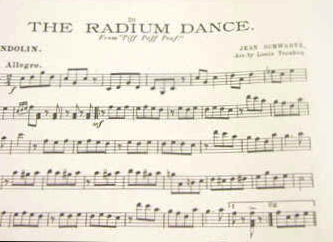 The rays, she thought, came from the element’s atomic structure. This revolutionary idea created the field of atomic physics and Curie herself coined the word radioactivity to describe the phenomena. 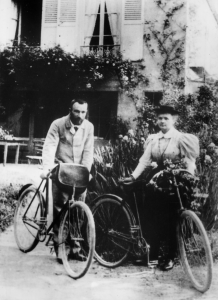 Marie and Pierre had a daughter, Irene, in 1897, but their work didn’t slow down. 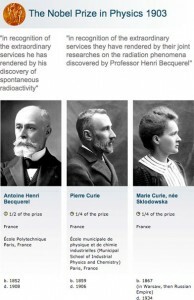 Pierre put aside his own work to help Marie with her exploration of radioactivity. 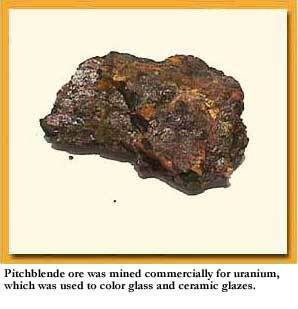 Working with the mineral pitchblende, the pair discovered a new radioactive element in 1898. 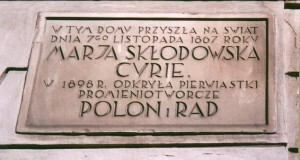 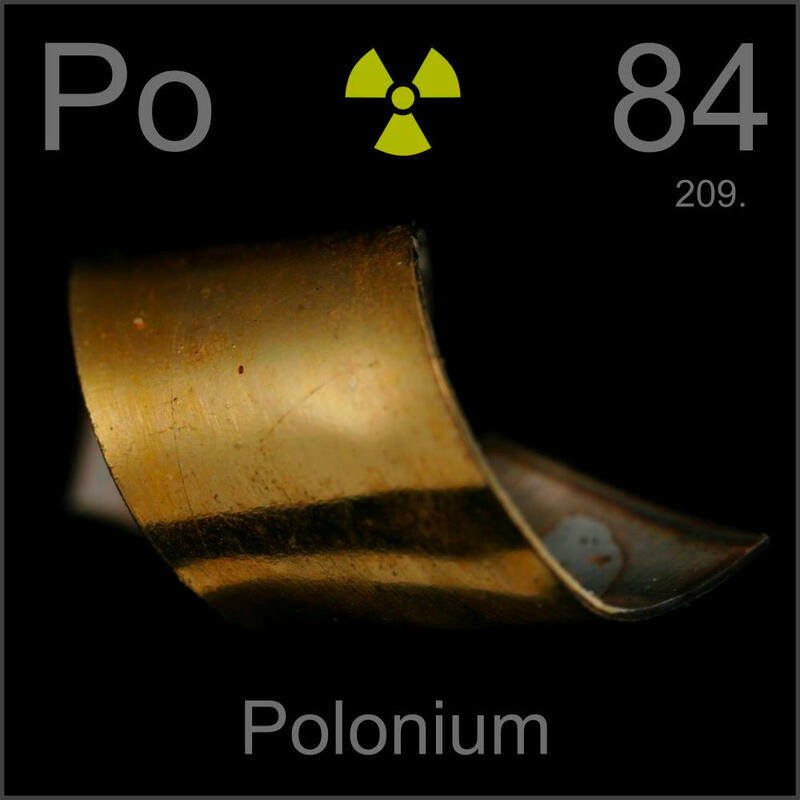 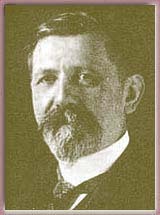 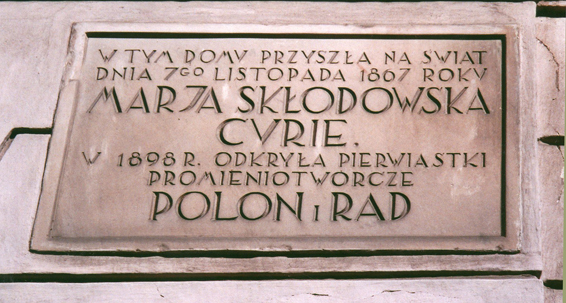 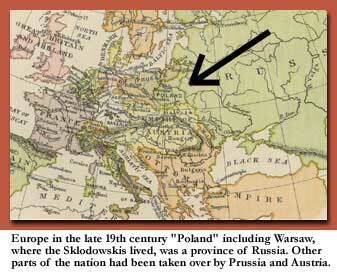 They named the element polonium, after Marie’s native country of Poland. 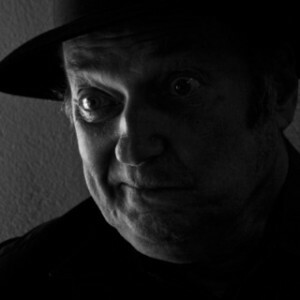 They also detected the presence of another radioactive material in the pitchblende, and called that radium. In 1902, the Curies announced that they had produced a decigram of pure radium, demonstrating its existence as a unique chemical element. Marie Curie made history in 1903 when she became the first woman to receive the Nobel Prize in physics. 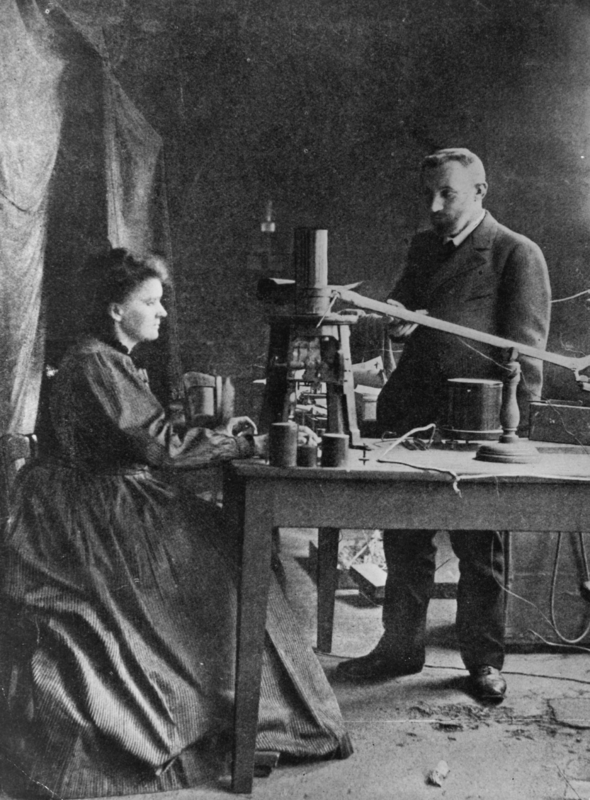 She won the prestigious honor along with her husband and Henri Becquerel, for their work on radioactivity. With their Nobel Prize win, the Curies developed an international reputation for their scientific efforts, and they used their prize money to continue their research. 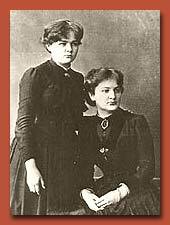 They welcomed a second child, daughter Eve, the following year. 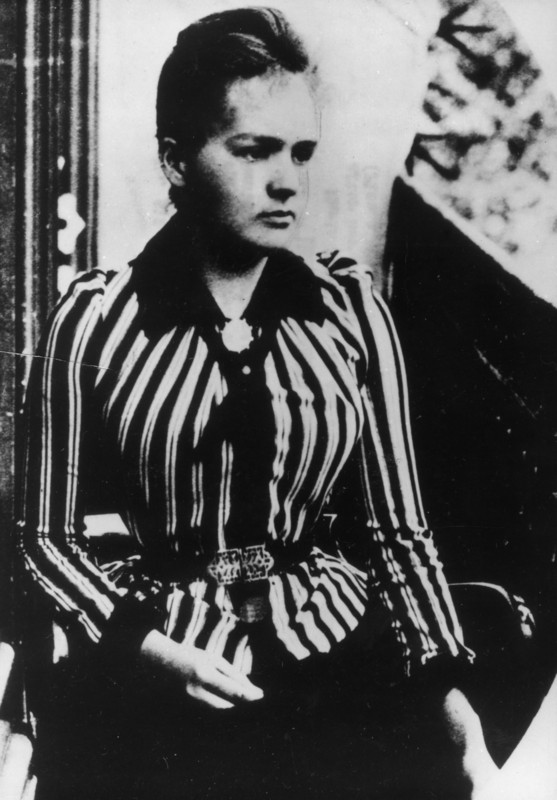 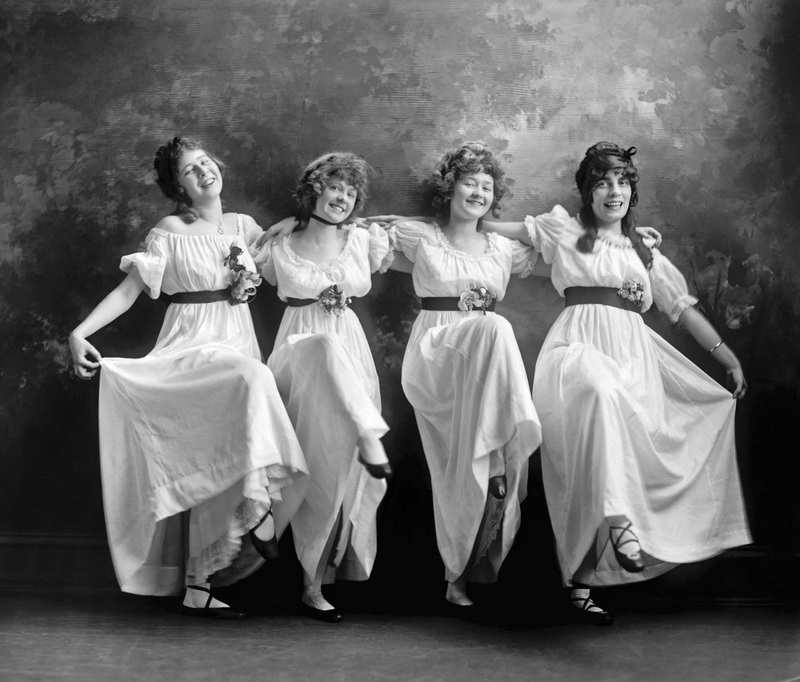 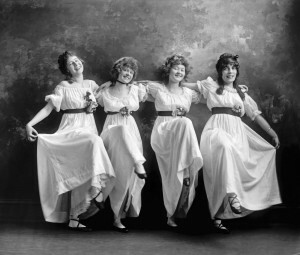 In 1906, Marie suffered a tremendous loss. 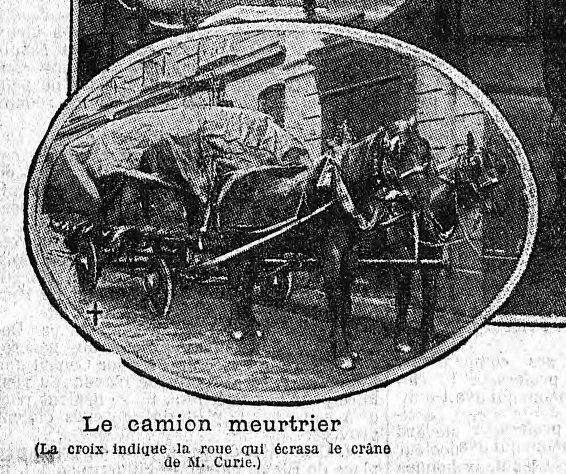 Her husband Pierre was killed in Paris after he accidentally stepped in front of a horse-drawn wagon. 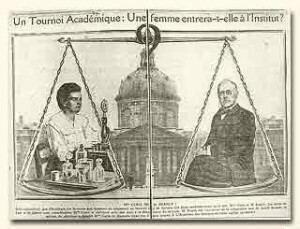 Despite her tremendous grief, she took over his teaching post at the Sorbonne, becoming the institution’s first female professor. Curie received another great honor in 1911, winning her second Nobel Prize, this time in chemistry. 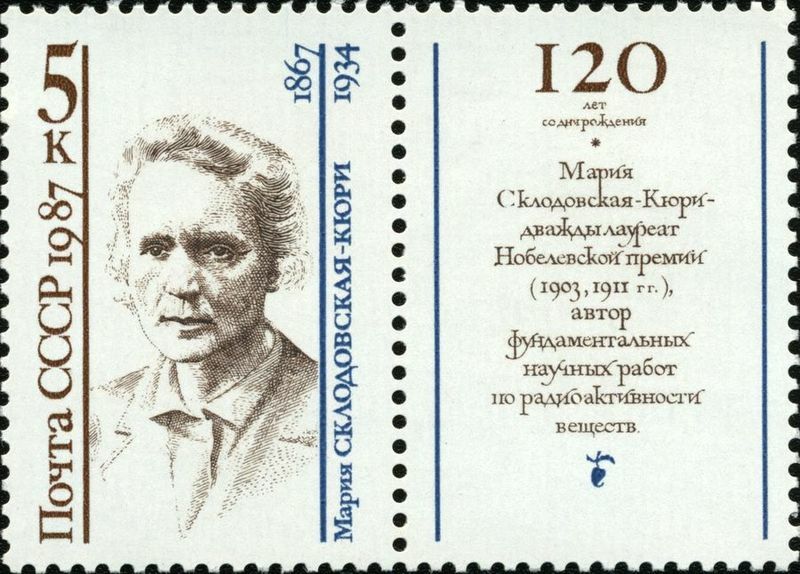 She was selected for her discovery of radium and polonium, and became the first scientist to win two Nobel Prizes. While she received the prize alone, she shared the honor jointly with her late husband in her acceptance lecture. 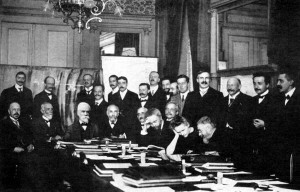 Around this time, Curie joined with other famous scientists, including Albert Einstein and Max Planck, to attend the first Solvay Congress in Physics. 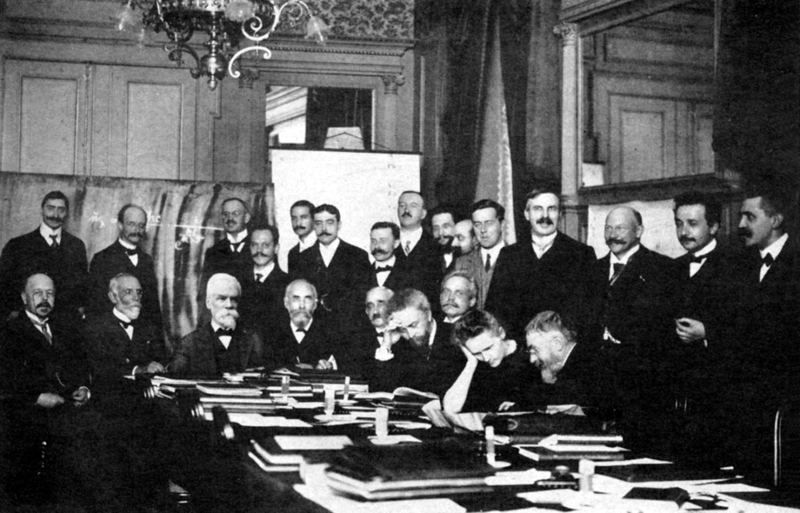 They gathered to discuss the many groundbreaking discoveries in their field. 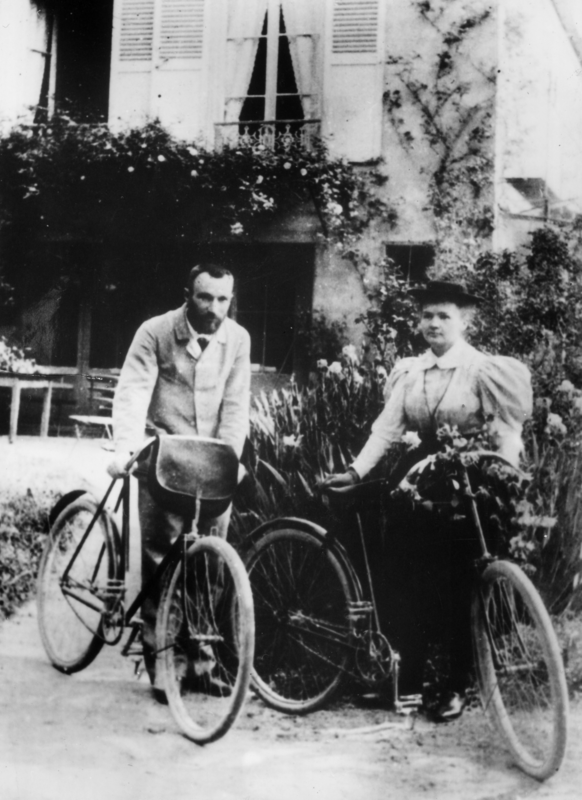 Marie Curie experienced the downside of fame in 1911, when her relationship with her husband’s former student, Paul Langevin, became public. 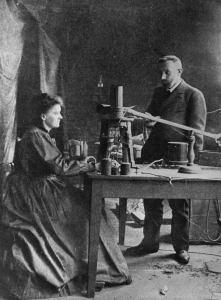 Curie was derided in the press for breaking up Langevin’s marriage. 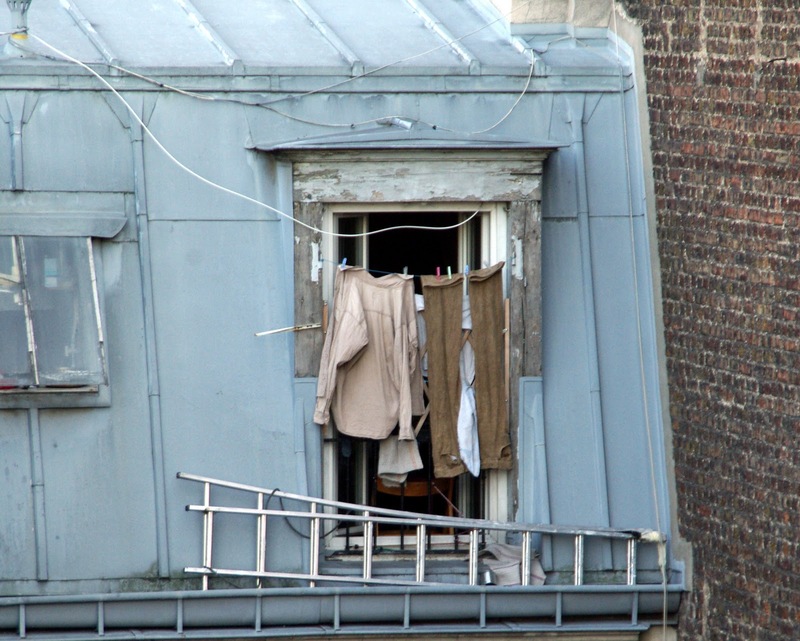 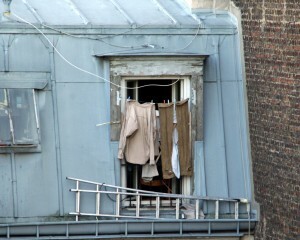 The press’ negativity towards Curie stemmed at least in part from rising xenophobia in France. 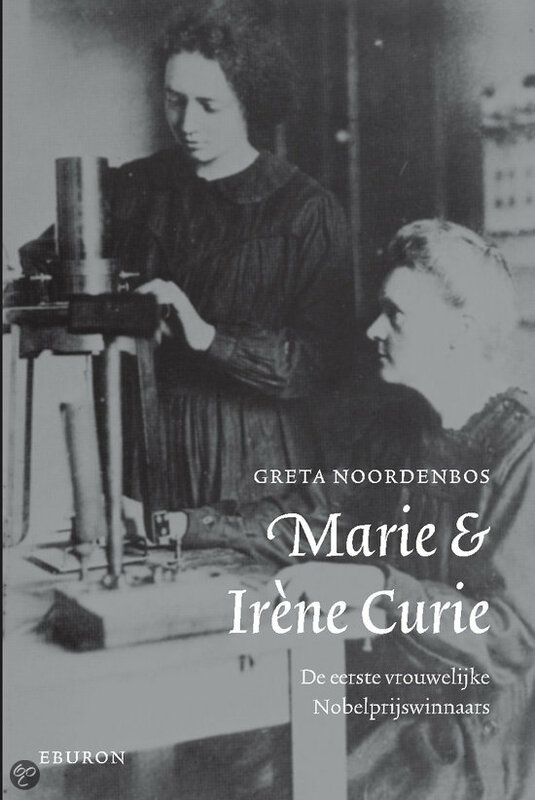 Among the false rumors the right-wing press spread about Curie was that she was Jewish, not truly French, and thus undeserving of a seat in the French Academy. 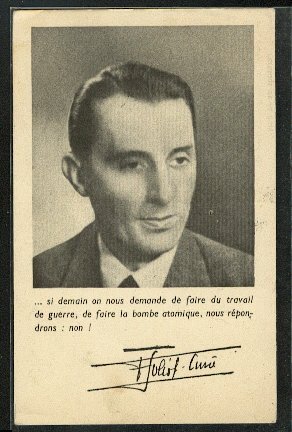 The “right” wing. What a misnomer. 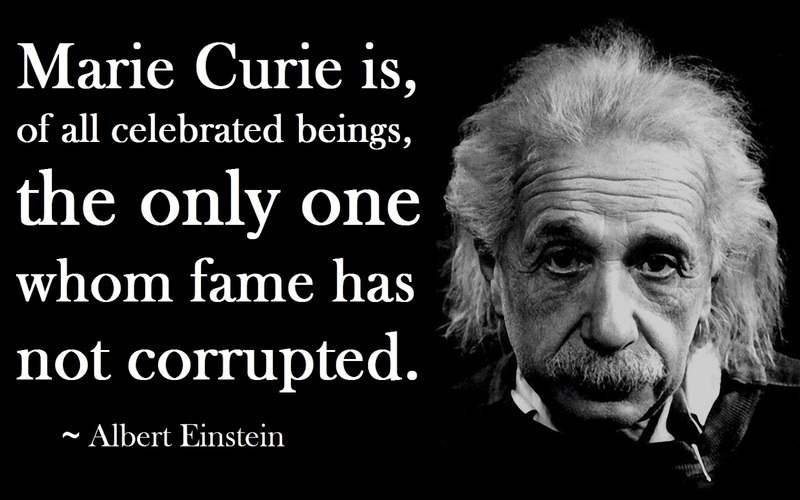 In every country, in every period, they seem to be wrong about so many things. 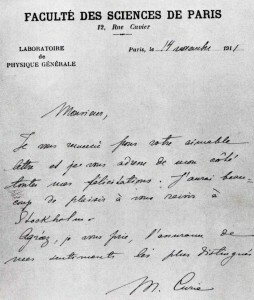 Mathematician Emile Borel, scientific director of the Ecole Normale Supérieure, sheltered Curie and her daughters even when the minister of public instruction threatened to fire him for sullying French academic honor. When World War I broke out in 1914, Marie Curie devoted her time and resources to helping the war effort. After the war, Curie used her celebrity to advance her research. She traveled to the United States twice— in 1921 and in 1929— to raise funds to buy radium and to establish a radium research institute in Warsaw. 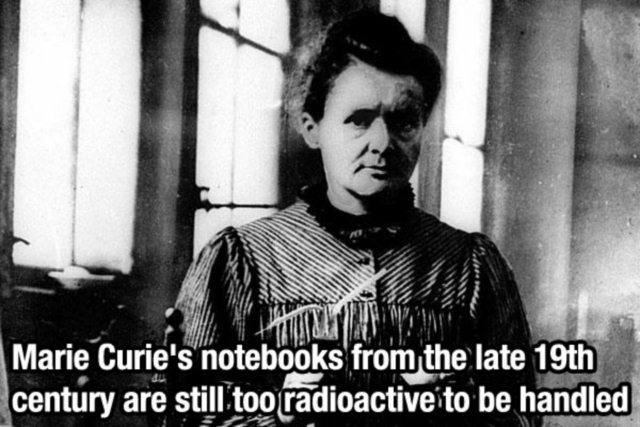 All of her years of working with radioactive materials took a toll on Curie’s health. 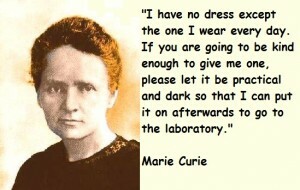 She was known to carry test tubes of radium around in the pocket of her lab coat. In 3511, it will be finally safe to handle Marie Curie’s notebooks which are now wrapped in lead. 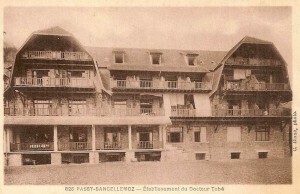 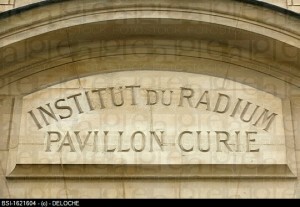 In 1934, Curie went to the Sancellemoz Sanatorium in Passy, France, to try to rest and regain her strength. 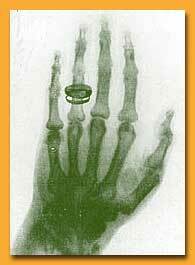 She died there on July 4, 1934, of aplastic anemia, which can be caused by prolonged exposure to radiation. 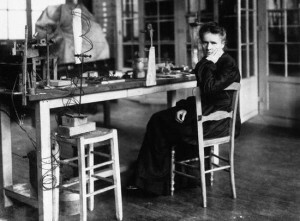 Marie Curie is the most famous female scientist of all time, and has received numerous posthumous honors. 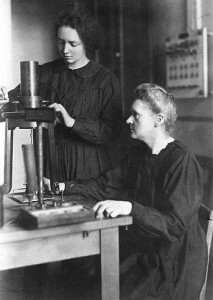 Curie also passed down her love of science to the next generation. Her daughter Irène Joliot-Curie followed in her mother’s footsteps, winning the Nobel Prize in Chemistry in 1935. 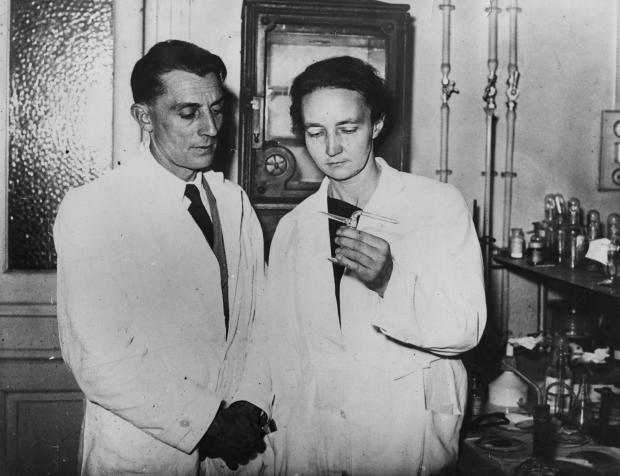 Joliot-Curie shared the honor with her husband Frédéric Joliot for their work on their synthesis of new radioactive elements. Today several educational and research institutions and medical centers bear the Curie name, including the Institute Curie and the Pierre and Marie Curie University, both in Paris.